I still can't believe that Judy has decided to close the doors of this wonderful shop and Digi Doodle Shops Challenges. But as the life goes you have to put yourself and the ones close by you in the first place, so I wish her all the best in achieving her new goals. As for me - I will miss this challenge as it was my first DT to be accepted to and everyone I have met there are the most amazing people there are. 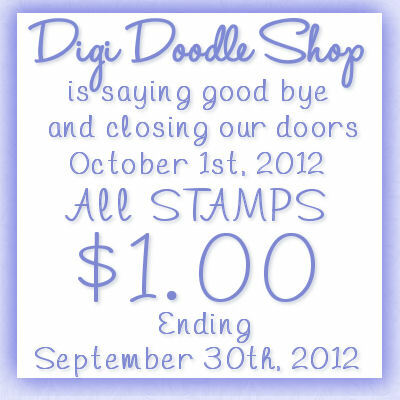 I really wish you all could step by the Digi Doodle Shop and take a good look at all those wonderful stamps - at a 1$ price it is such a good deal!